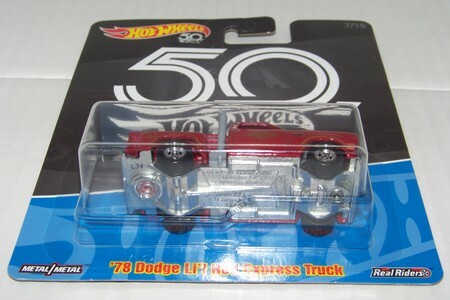 Description: ANOTHER AWESOME CASTING CELEBRATING 50TH ANNIVERSARY OF HOT WHEELS, THE 78 DODGE LI'L RED EXPRESS TRUCK, REAL RIDERS & CHROME WHEELS. 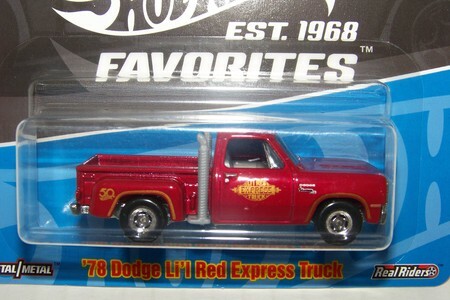 THERE WERE NOT AS MANY OF THESE IN THE ASSORTMENTS AS OTHERS, KINDA THE SLEEPER OF THE BUNCH, YET ONE OF THE COOLER ONES. thinning the collection once again & have some choice sought after cars i'm listing, please check my other categories. This comes from a smoke free home, shipped w/ d.c.# (Sorry no longer shipping outside of continental U.S.), ins. opt. if you decline ins. 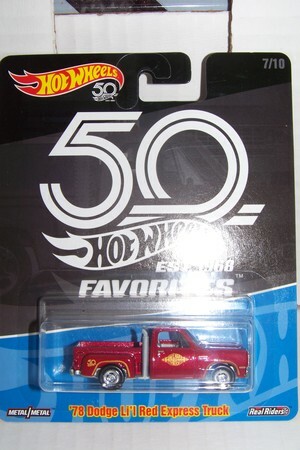 i am not responsible for lost or damaged hot wheels in transit. i will combine shipping. payment to be made w/ in 3 days of purchase. If paying by money order, please U.S. postal money orders. i have more to list so take a look at my other categories, i have edited some prices. thanks for the look & take care. RD MORE TO COME! !